The final pipes shipment required for the upcoming 500 KM Mtwara-Dar es Salaam gas pipeline was unloaded at Mtwara port. The gas line is expected to be commissioned in December 2014, according to its contractor China Petroleum Technology and Development Corporation. The new pipeline, running from Mnazi Bay, Mtwara and Songo Songo in Kilwa District to the capital Dar es Salaam will generate 3,900 MW of electricity once it reaches gas fired power plant at Kinyerezi 1. 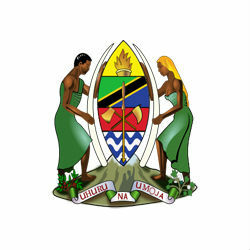 Accoridng to Tanzania Electric Supply Company Limited (TANESCO) currently natural gas accounts for between 40-45 % of power generation in the Tanzania but this is set to reach 80% when both the pipeline and power plant are commissioned. Tanzania is expected to significantly increase its power supplies in the coming years with the Ministry on Mining and Energy recently announcing the possibility of achieving a 1,500 MW power surplus by 2015.